Ensuring light is concentrated on the task provides the required high levels of illuminance while using minimal energy through less light loss in ancillary areas. Careful selection and arrangement of lighting on key sections of the slope maximises lighting impact whilst minimising energy use on lighting in areas of lesser importance. Precise optical control and luminaire aiming minimises spill light, so no energy is wasted lighting the wrong area. Åre is an alpine ski area and the largest mountain sports resort in Sweden. Located at the foot of Areskutan, a mountain 1,420 meters above sea level, it was host to the World Cup Championship in 2007 and named the "World's Top Ski Resort" in 2009 by the British travel magazine Condé Nast Traveller. 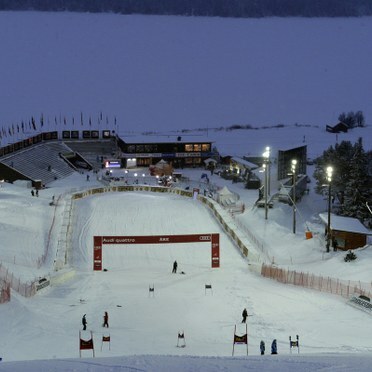 The Störtloppet ski slope is Sweden's most fierce and dangerous. It has a total length of 2,912 feet with a vertical drop of 841 metres. To bring it up to world class standards and meet television broadcast requirements, 350 Mundial HQI-TS 2000W floodlights were specified to illuminate 1,308 feet with a vertical drop of 416 meters. Producing a light level of 1,000 lux, Mundial is mounted at a height of 15m and can be set in three different lamp positions. It also features a spun circular reflector with baffle for asymmetrical lighting distribution. By minimising glare, light spill and upward light, Mundial effectively prevents obtrusive light and light pollution. This is especially important for preserving the local environment. 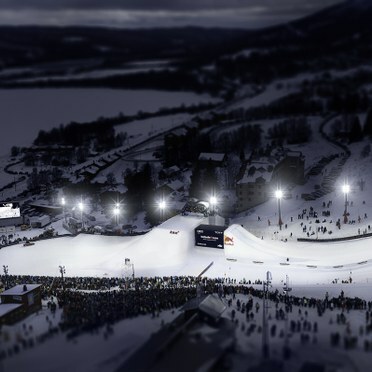 Nalle Hanson, Arena Manager at SkiStar Åre says: "With the new lighting, we can now run evening competitions throughout the winter. 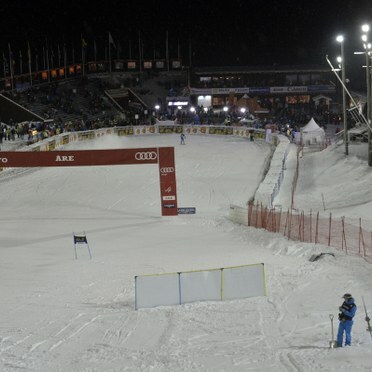 The last winter women's World Cup competitions were in fact run with the new lighting and both the competitors and the television broadcasting company were very happy with it. The lighting level of 1,000 lux is particularly crucial for managing the broadcasting requirements. "Aside from the lighting, SkiStar is also very satisfied with the cooperation with Thorn." Download a PDF case study of this project.